Μάριος Ευθυμιόπουλος και Ζήνωνας Τζιάρρας (επιμέλεια), Κυπριακή Δημοκρατία: Διαστάσεις Εξωτερικής Πολιτικής, University Studio Press, Θεσσαλονίκη, 2013. • Zenonas Tziarras, “Ethnicity and Ethnic Conflict: Comparing Cyprus and Sri Lanka”, in Lovell, Kontos and Warner (eds), Modern Social and Political Aspects of the Cyprus Problem, Cambridge Scholars Publishing, FORTHCOMING 2015. Ζήνωνας Τζιάρρας, “Η Διεθνής Πολιτική της Ευρύτερης Μέσης Ανατολής και η Θέση της Τουρκίας” [The International Politics of the Greater Middle East and Turkey’s Position], Center for European and International Affairs (University of Nicosia), Policy Paper, March, 3/2015. 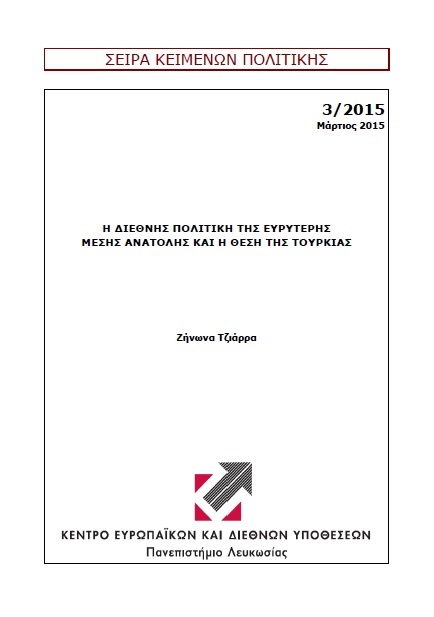 European and International Affairs (University of Nicosia), Policy Paper, March, 3/2015. Zenonas Tziarras, “The Security Culture of a Global and Multileveled Cyber Security”, in Elias Carayannis, David Campell and Marios Efthymiopoulos (Eds. 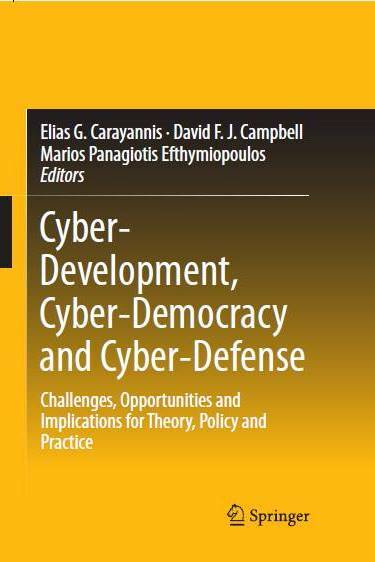 ), Cyber-Development, Cyber Democracy and Cyber-Defense:Challenges, Opportunities and Implications for Theory, Policy and Practice, Springer, 2014, pp. 319-335. 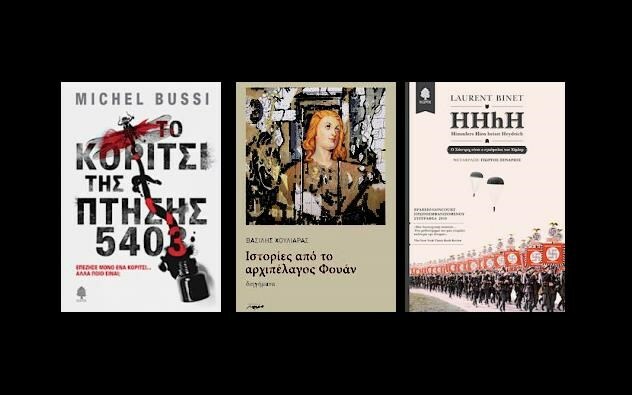 Ζήνωνας Τζιάρρας, “Ο Μετασχηματισμός της Σύγχρονης Τουρκικής Περιφερειακής Πολιτικής Ασφάλειας”, στο Ν. Μούδουρος και Μ. Μιχαήλ, Η Νέα Τουρκική Ηγεμονία: Διαστάσεις του Πολιτικού Ισλάμ, Παπαζήση, Αθήνα, 2014. Zenonas Tziarras, “The Transformation of Contemporary Turkish Regional Security Policy”, in N. Moudouros and M. Michael, The New Turkish Hegemony: Dimensions of Political Islam, Papazisi, Athens, 2014. Ζήνωνας Τζιάρρας, “Κύπρος και Εξωτερική Πολιτική: Κεφαλαιοποιώντας την Περιφερειοποίηση του Διεθνούς Συστήματος”, στο Μάριος Ευθυμιόπουλος και Ζήνωνας Τζιάρρας (επιμέλεια), Κυπριακή Δημοκρατία: Διαστάσεις Εξωτερικής Πολιτικής, University Studio Press, Θεσσαλονίκη, 2013, σσ.75-95. Zenonas Tziarras, Turkey-Egypt: Turkish Model, Political Culture and Regional Power Struggle, Strategy International, SI Research Paper no. 4/2013, October, 2013. Zenonas Tziarras, The Law of the Sea Treaty, the Eastern Mediterranean, and Clinton’s Testimony, Strategy International, SI Research Paper no. 2/2012, October 2012. Zenonas Tziarras, “State-Media Relations in Turkey: Daily Sabah and Yeni Şafak as a Tactical Arm of the AKP’s Foreign Policy“, Asia Policy & Politics, Vol. 7, No. 2, April 2015, pp. 323-327. 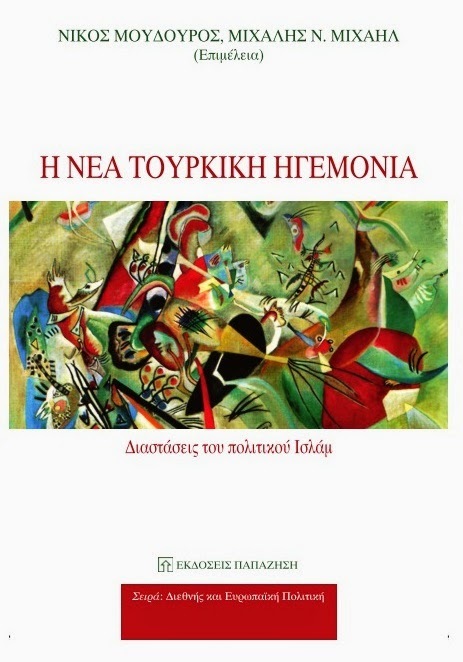 Zenonas Tziarras, “The Importance of Global and Regional Energy Shifts for Cyprus: The (Geo)Political Dimension” [In Greek], Annual Journal of History, Society and Politics [Ετήσια Επιθεώρηση Ιστορίας, Κοινωνίας και Πολιτικής], Vol. 1, pp. 11-28. Zenonas Tziarras (July, 2014), “Turkey’s ‘Multi-Scenario’ Foreign Policy”, Vol. III, Issue 7, pp.34-52, Centre for Policy Analysis and Research on Turkey (ResearchTurkey), London, ResearchTurkey. (http://researchturkey.org/?p=6605). Zenonas, Tziarras, Book Review, The Arab Spring, Democracy and Security: Domestic and International Ramifications, Efraim Inbar (ed. ), Journal of Conflict Transformation and Security, Vol. 3, No. 2, Oct. 2013. Zenonas Tziarras, “Turkey’s Syria Problem: A Talking Timeline of Events”, Turkish Policy Quarterly, Vol.11, No.3, Fall 2012, pp.130-138. Zenonas Tziarras, “Shifting the Balance Against ISIS, or Why Turkey Changed its Mind“, The Globalized World Post & The Europe Levant Observatory, July 24, 2015. Zenonas Tziarras, “The Post-Referendum Greece: Between Challenges and Hope“, Mitvim – The Israeli Institute for Regional Foreign Polcies, July 2015. Zenonas Tziarras, “Global Shifts and the East in Cyprus’ Foreign Policy“, In Depth, Vol.12, no.3, June 2015. Zenonas Tziarras, “Turkey and Saudis in Syria: Aligned Interests, Clashing Revisionists“, The Europe Levant Observatory, June 1, 2015. Zenonas Tziarras, “Assessing the ISIS threat one Year Later“, The Europe Levant Observatory, June 1, 2015. Zenonas Tziarras and Ioannis-Sotirios Ioannou, “The Iran P5+1 Framework: Prospects & Implications“, The Europe Levant Observatory, April 29, 2015. Mitvim – The Israeli Institute for Regional Foreign Policies, February 2015. Zenonas Tziarras and Gabriel Mitchell, “Full of Gas, Full of Problems: The Eastern Mediterranean’s Hydrocarbon Showdown”, The National Interest, 06/01/2015. Zenonas Tziarras, “The Iraq Crisis and Its Geopolitical Implications”, e-International Relations, 29/07/2014. Zenonas Tziarras, “Power Struggle over Ukraine: Systemic Observations”, The Globalized World Post, 02/03/2014. Zenonas Tziarras, “Turkey’s Imbalances and Identity Crisis”, The Globalized World Post, 23/11/2013. Zenonas Tziarras, “Where is Erdogan Headed?”, Strategic Outlook, 28/06/2013. Zenonas Tziarras, “Extremism in Syria, Geopolitics, and Future Scenarios”, Strategy International, 18/04/2013. 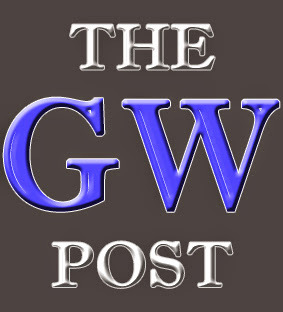 Zenonas Tziarras, “Something is happening in the MidEast and EastMed”, The Globalized World Post, 27/03/2013. Zenonas Tziarras, “Turkey and Israel: The Revitalization of Relations?”, Strategic Outlook, 26/03/2013. Zenonas Tziarras, “Economic Crisis in Cyprus: Repercussions, Turkey and the Turkish-Cypriots”, e-International Relations, 06/01/2012. Zenonas Tziarras, “European Energy Security, “Geo-Economic Competition, and Strategic Imperatives”, Cyprus Centre for European and International Affairs, In-Depth Newsletter Vol.9, Issue 6, November, 2012. Zenonas Tziarras and Panagiotis Andrikopoulos, “Israel, Gaza and the Mideast: An ‘Indirect Approach’?”, Eurasia Review, 18/11/2012. Zenonas Tziarras, “The thoughtlessness of the intervention advocates – Syria”, Al Yunaniya, 16/06/2012. 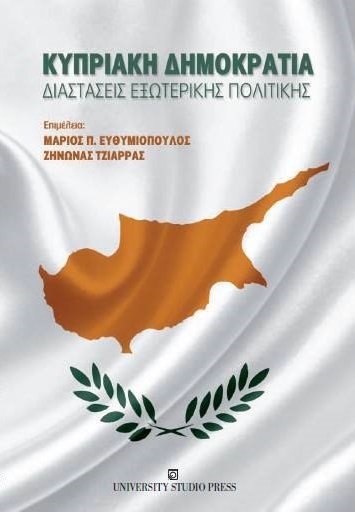 Zenonas Tziarras, “Cypriot Natural Gas and the Eastern Mediterranean: Between Crisis and Cooperation”, Political Reflection Quarterly, Vol.3, No.2, March-April-May, 2012, pp.56-59. Zenonas Tziarras, “New Perspectives on the Sociology of the Arab Spring”, The Globalized World Post, 01/12/2011. Zenonas Tziarras, “Eastern Mediterranean: Energy Developments and Geopolitical Implications”, Research Institute for European and American Studies (RIEAS), 15/10/2011, www.rieas.gr. Zenonas Tziarras, “The Sociology of the Arab Spring: A Revolt or A Revolution?”, The Globalized World Post, 23/08/2011.